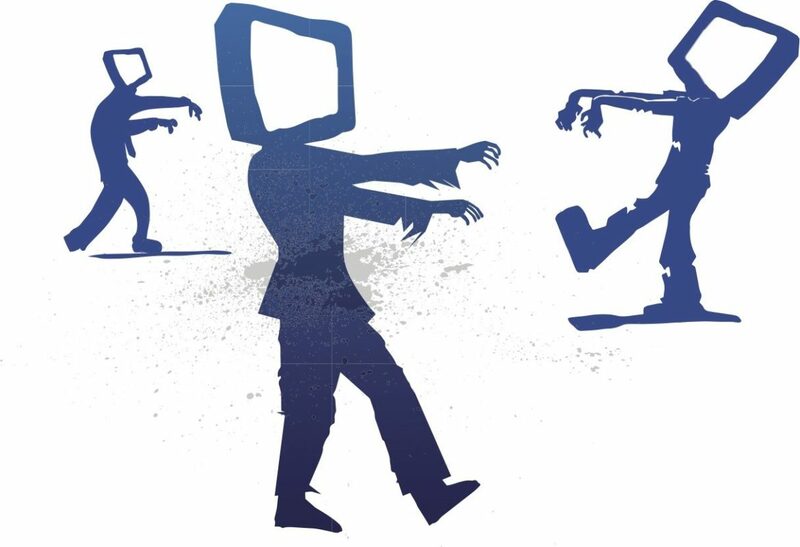 The FCC’s TV spectrum auction is producing unusual and unexpected gifts for a handful of fortunate pubcasters in major markets: donations of commercial TV licenses that turned into “zombies” after their owners cashed out the value of their spectrum. WGBH in Boston, WNET in New York City and WPBT in Miami have recently received donated low-power commercial digital TV licenses. As broadcast stations, these small signals — WFXZ-CD in Boston, WMBQ-CD and WEBR-CD in New York, and WIMP-CD in Miami — had limited reach and viewership for their niche programming. But they turned out to be immensely lucrative for some of the licensees that invested in them long before the digital transition. Their commercial owners — including Prime Time Partners, Sunshine Broadcasting and OTA Broadcasting — are now reaping additional financial benefits from their decisions to sell off the spectrum. By donating the so-called “zombie licenses” to noncommercial operators, they can claim a tax write-off. The zombie nickname, coined by the FCC, stems from the commission’s decision to continue to recognize these licenses even after each owner has relinquished their channels. Unlike the “Walking Dead” who menace survivors on AMC’s hit TV show, these stations can be revived into new life. All it takes is another broadcaster that’s willing to lend some of its own channel capacity to get them back on the air. Public broadcasting has some of its own zombies wandering through the post-auction landscape. Licensees that auctioned off station spectrum, such as Connecticut Public Broadcasting, are looking for channel-sharing deals that would allow them to bring their licenses back from the dead. “Zombie license” is an official term in FCC jargon, created by the TV spectrum auction that paid broadcasters more than $2 billion dollars to surrender valuable UHF channels for new wireless uses. “Class A” low-power stations, whose call signs include the designation “CD,” were eligible to participate along with full-power licensees. Some of the low-power channels sold for tens of millions of dollars. Broadcasters that cashed out their low-power stations have the option to continue operating by entering channel-sharing agreements with other local stations, paying them to host their signals on spectrum that wasn’t sold. But for those licensees that were more interested in spectrum auction payouts than staying on the air, the tax write-off gives them an incentive to donate their licenses to a willing pubcaster in the market. Marc Hand, co–managing director of the Public Media Company, represented WGBH and WNET in their deals. The idea for the zombie license donations surfaced about a year ago, he said. In April he convened meetings at the National Association of Broadcasters Show in Las Vegas, where he presented proposals to several owners of zombie licenses. “Working with them and with FCC attorneys took some discovery time,” Hand said. Some public stations “couldn’t quite get there in terms of weighing the upside of these donations,” he said, and several proposed deals fell through. Pubcasters have a range of options for making use of donated zombie licenses, Hand said. Since the licenses are commercial, public broadcasters that are interested in developing commerical revenues could do so with these new stations, Hand said. For example, they could be used as test beds for the eventual conversion to the new ATSC 3.0 standard. The licenses also could turn out to be valuable if the FCC holds another spectrum auction down the road, giving public broadcasters another opportunity to benefit financially. Another option is to sell the licenses, he said. So far, the pubcasters receiving these zombie donations aren’t saying much about their plans. “It will take a few months to sort out, and we are considering programming options,” said Jeanne Hopkins, WGBH VP of communications and government relations. South Florida PBS is seeking community input on how to use the WIMP-CD license, which arrived as an unsolicited donation, according to Jeneissy Azcuy, director of corporate communications. WNET did not respond to a request for comments. But making productive use of the licenses may prove to be a challenge. On the technical side, the Class A stations will see big signal upgrades when they become “sharees” with their full-power public stations. WIMP-CD, for example, now reaches a small area around its Miami transmitter. Once it begins sharing channels with South Florida PBS, it will cover the entire Miami-Fort Lauderdale market. Boston’s WFXZ-CD will expand its reach from just a handful of inner suburbs to a channel-share on WGBH-TV itself, potentially making its signal more widely available across all of greater Boston. But the Boston pubcaster’s post-auction transition was already complicated; adoption of WFXZ adds another layer of technical challenges. In exchange for $162 million in auction revenue, WGBH-TV is moving from its current UHF broadcast channel to a new signal on low-band VHF. Those frequencies work fine with outdoor antennas, but their wavelengths are too long for typical indoor antennas to receive in many locations. Unlike most pubcasters, WGBH was able to make that tradeoff because it retained a second license, WGBX, that is staying on the more desirable UHF spectrum. But with only so much bandwidth available for its legacy channels, WFXZ-CD’s signal may remain invisible to many viewers in the greater Boston market. The two Class A stations donated to WNET had previously covered only small portions of the sprawling New York City TV market, with coverage of WMBQ-CD and WEBR-CD limited to the five boroughs and some adjacent parts of Long Island and New Jersey. Once these zombies return to broadcast service, they will share WNET’s high-band VHF signal, which is about to move its transmitter from the Empire State Building to the World Trade Center. Its Long Island–based UHF sister station, WLIW, also recently applied to the FCC to relocate its transmitter to the World Trade Center, giving it a much more potent signal over New York City. Even though the zombie stations will gain broadcast coverage when their Class A signals are brought back to life on full-power transmitters, their licenses don’t confer the same must-carry rights that allow their new public TV owners to command prime channel positions on cable and satellite systems. As a result, their programming will have limited visibility on cable, much like what many pubcasters get for their multicast services. If they’re carried on cable, they’re usually assigned to upper digital channels. Most get no satellite carriage at all. Because the zombie licenses retain their virtual channel positions, however, they could give pubcasters more visibility with over-the-air audiences. Broadcasts by the zombie license of WFXZ in Boston, for example, could use subchannels of WGBH’s own virtual Channel 2 or WFXZ’s virtual Channel 24, conveniently located right next to the market’s Fox affiliate on Channel 25. In New York, WNET began carrying WMBQ’s leased-time “Biz TV” programming in early November on virtual Channel 13.3, instead of using WMBQ’s old virtual Channel 46. Decisions about what to program on these zombie stations may not come for a few months yet, according to Hand. “Everybody is focused now on just getting through the donations and the FCC process,” Hand said. For now, pubcasters can run their own programming on the channels or take them off the air temporarily. Some of public TV’s zombie licenses are now entering channel-sharing agreements that will confer must-carry rights. New Jersey’s Public Broadcasting Authority sold off the spectrum of two full-power stations but will “share” those licenses on its two remaining stations in New Brunswick and Trenton. Once the move is complete, the NJTV stations will be able to claim must-carry status for two channels in both the New York and Philadelphia markets. According to FCC filings, Connecticut Public TV is implementing a similar strategy after selling spectrum from its station licensed to New Haven. And in south Florida, flagship station WPBT will soon begin sharing its spectrum with sister station WXEL in West Palm Beach, which sold off its spectrum in the auction. Details of that channel-share, which will also include donated WIMP-CD, are still being worked out, according to Azcuy. Pubcasters don’t appear to be pursuing one option that’s available to them in reviving zombie licenses: the opportunity to operate the donated licenses as commercial stations. The FCC’s repack rules allow commercial licenses to share spectrum on noncommercial host stations, but WGBH plans to operate WFXZ as a noncommercial signal once the donation is complete, Hopkins said. For WGBH, the channel repack presents yet another opportunity for a new revenue stream. Its second TV station, WGBX, will share some of its UHF spectrum with another zombie that will pay to be hosted on its channel. That station, WYCN-CD, is being sold by OTA Broadcasting to NBC, which will use its share of the WGBX spectrum to provide a full-market signal for its Boston owned-and-operated station. NBC’s owner, Comcast, chose not to renew a longtime affiliation with Sunbeam Television’s WHDH-TV in Boston early this year, instead launching a new “owned and operated” NBC station for Boston. But since then, NBC has struggled to create a combination of signals that reach the entire Boston market. NBC needed a channel-sharing deal that would carry its signal into more TV households in Boston. The terms of NBC’s arrangement with WGBX are confidential, but Hopkins says the proceeds, like the spectrum auction revenue, will support WGBH’s overall work. “We will continue to provide our full complement of services to our audiences, and at the same time gain new resources to support our mission of educational programs and services,” she told Current. So far only a few pubcasters have been able to benefit from these side deals. In most of the country, especially the Midwest and West, enough spectrum was available that no licenses were sold at auction. However, more zombie licenses may eventually become available through donations. While Class A low-power licenses were guaranteed either a new channel or auction money in the repack, thousands of other low-power licenses that lack Class A status are not guaranteed new channels if spectrum is scarce within their markets. Licensees of many of these stations are now filing for new channels. In the next few months, the fates of those in crowded markets could depend on the willingness of pubcasters to accept the licenses. Channel sharing also brings compromises, at least for now. Every megabit of a station’s data stream that goes to a sharing partner reduces the amount of bandwidth available for the host station’s programming. Television’s transition to the more efficient ATSC 3.0 broadcasting standard is expected to ease this situation somewhat in the years to come. And when that happens, pubcasters that have received zombie licenses just might be able to benefit yet again, by leasing them out to commercial broadcasters that delay converting their own signals to ATSC 3.0 until they’re more confident that the marketplace will adopt the new standard.